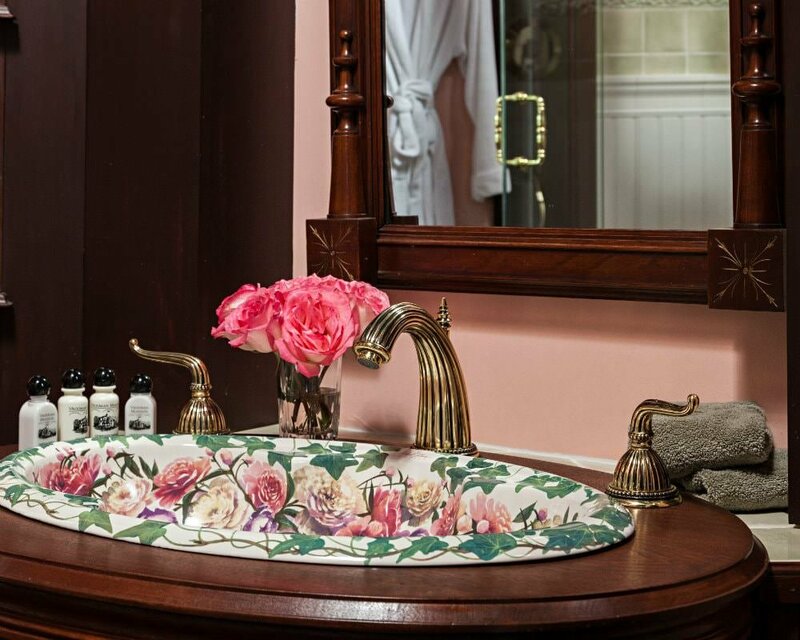 Located in the Carriage House, Fern Suite gets its name from the many ferns Julia had planted on the grounds. 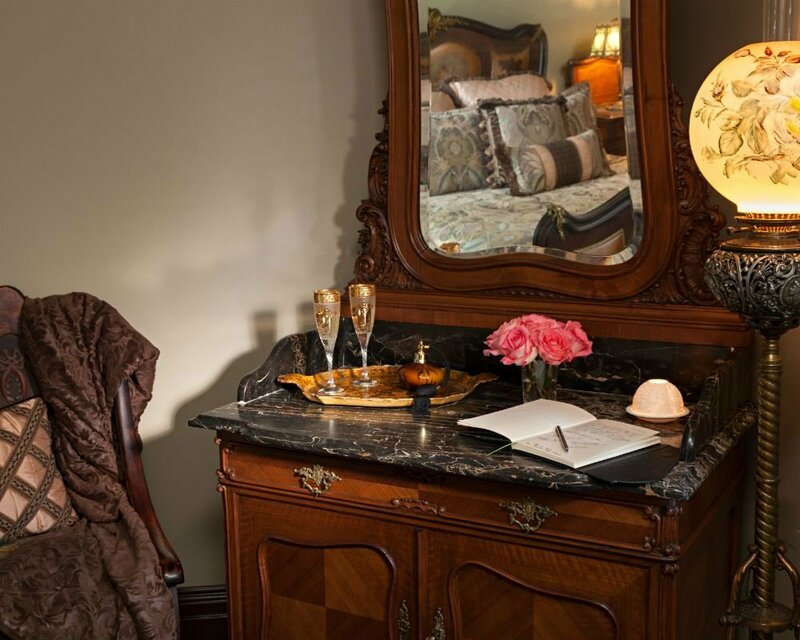 The richly toned décor of the room enhances the “whisked away from it all” feeling! 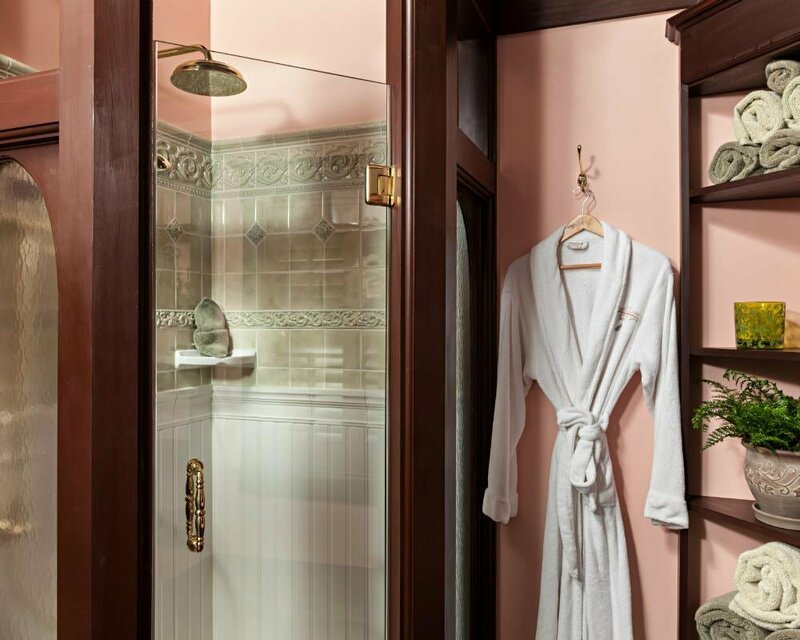 The queen-size memory foam pillow-top mattress is surrounded by a hand-painted frame, while the modern bathroom includes a tile and glass shower, custom woodwork, and an antique mirror with a hand-painted sink. A reading chair and marble top dresser and tables accentuate this lovely room, providing an elegant yet cozy lodging for your Central Illinois getaway. 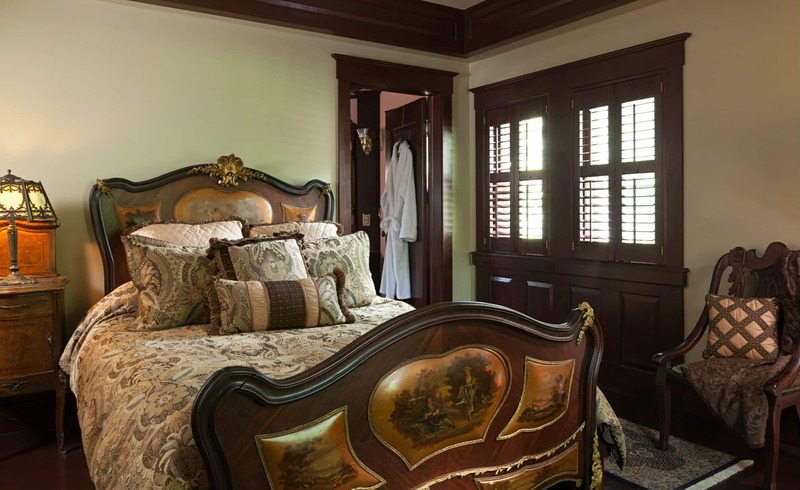 The Fern Suite features north and west windows overlooking the spacious lawn of the bed and breakfast, and providing a picturesque view of the Main House. Save time for reading a book on the screened-in porch, or take a walk or bike ride on the nearby Constitution Trail. Read about our gourmet breakfasts. 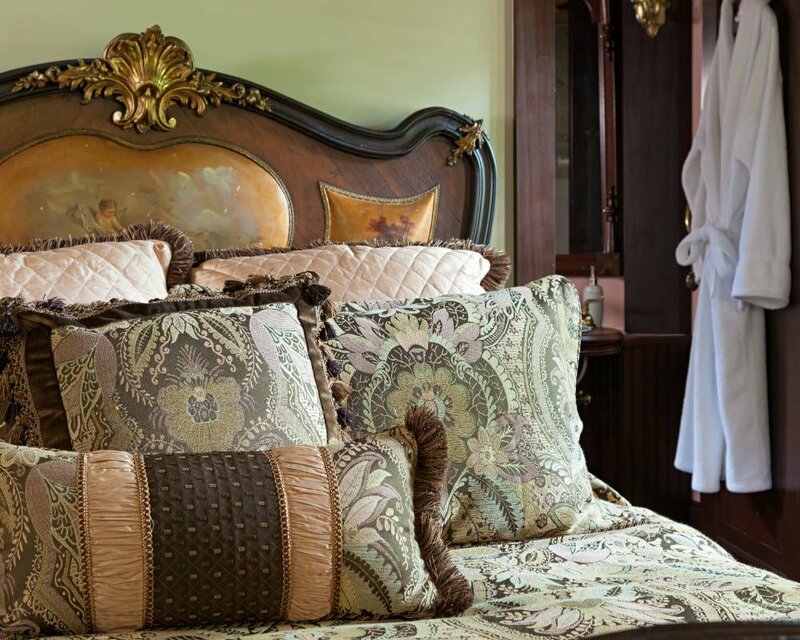 My husband and I wanted a luxurious, private, and relaxing place to rest and take a break from life. Vrooman Mansion provided us with that and more! We could not have had a more enjoyable experience and will definitely be coming back in the future! 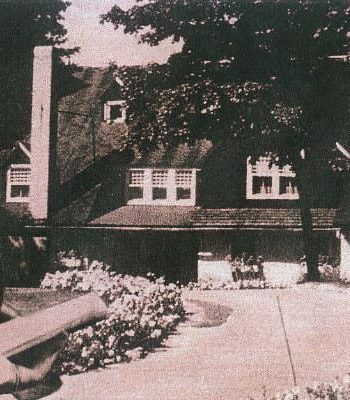 As the years rolled by, Julia Scott enhanced the rustic flavor of “The Wilds” (her summer cottage in Charlevoix, Michigan) by planting ferns from England. It was one of the provisions when the home was sold by her heirs that the English ferns would be retained.